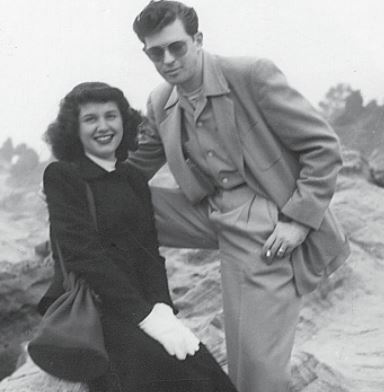 A great marriage is a work of art, and the charming Harold and Lillian: A Hollywood Love Story is a heartfelt tribute to a couple that put their hearts and souls into a lasting creative and romantic partnership. Harold Michelson had an enviable career as a storyboard artist, art director, then production designer, on famed projects such as Ben Hur, Who’s Afraid of Virginia Woolf, Catch-22, and Star Trek: The Motion Picture. His work was complemented and paralleled by Lillian’s career as one of the most sought-after story researchers in the movie colony. The documentary extends a long-term project of director Daniel Raim, who is building a great body of work celebrating the hidden labor of talented Hollywood craft workers. As in his Oscar-nominated short, The Man on Lincoln’s Nose, Raim takes a long walk through the studio backlot, putting us next to the storyboard artists, researchers, and production designers whose influential work is almost entirely missing, or even uncredited, in our histories of Hollywood. In Harold and Lillian, Raim weaves these workplace realities with the story of a life-long romance between two fixtures in the studio system—loaded with intimate details like Lillian’s dauntless protection of their autistic son, and the goofily sweet hand-made cards Harold made for her on each anniversary. The collaborative nature of their work, and all movie work, shines through—Lillian’s research into the behavior of seagulls leads us to Harold’s sketches of signature frames from Hitchcock’s suspense masterpiece, The Birds, or her details on the milieu of upper-class Angelenos shows up in the exquisite, now iconic, frames Harold imagined for Mike Nichols and cinematographer Robert Surtees in The Graduate.